Massachusetts Oyster Project: Update on MOP Intern's Summer in Maine-- NJ Oyster Restoration Program Starts Again-- MOP hat spotted in Norway! Update on MOP Intern's Summer in Maine-- NJ Oyster Restoration Program Starts Again-- MOP hat spotted in Norway! 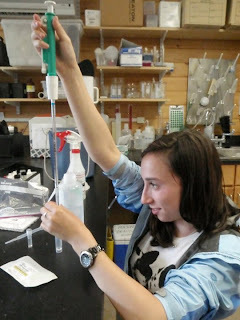 Here is an update on Wellesley College student and MOP intern Shira Bleicher's Summer in Maine. to weighted grids and lowered into the intertidal zone. We are delighted to see MOP alumni making progress in their careers. 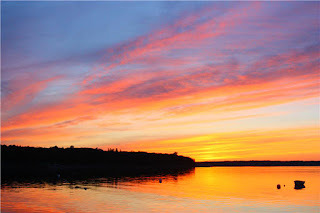 Below is photo of a Maine morning taken by Shira. It did not fit with the text but was too beautiful to leave out. The following encouraging news was sent to us by NY/NJ Baykeeper, who has had a rough ride with regulatory auithorities who removed and destroyed oysters that were part of a restoration program. NY/NJ Baykeeper placed 18 oyster nets into the water at Naval Weapons Station Earle today, in order to conduct scientific research about the viability of oysters in that area of the Raritan Bay. In July, 2010, the New Jersey Department of Environmental Protection banned research, restoration, and education projects using oysters in "contaminated" waters; waters classified as "Restricted" or "Prohibited" for shellfish harvest. The ban ground to a halt NY/NJ Baykeeper's scientific work to test the viability of restoring oysters in the Raritan Bay. 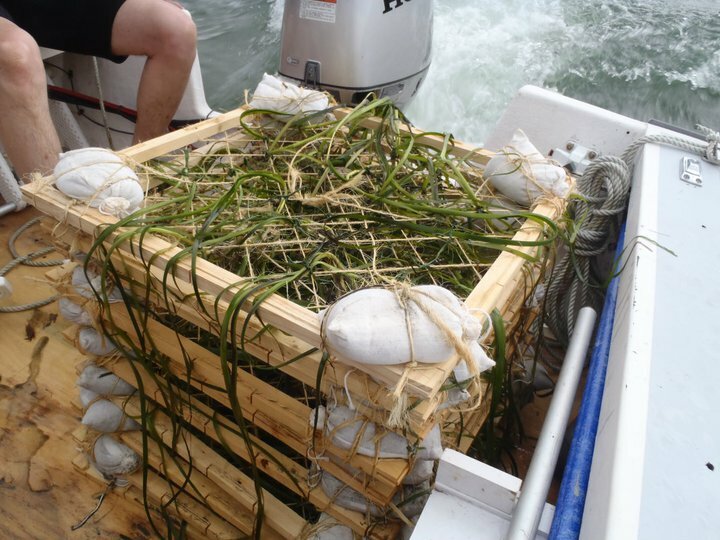 Not content to abandon hope for restoring water quality in the Raritan Bay, NY/NJ Baykeeper approached the Navy about placing oyster nets at Naval Weapons Station Earle, which is under 24/7 security, and therefore eliminates any poaching risk. "We are grateful for Captain Harrison, and his staff at Naval Weapons Station Earle for being a gracious hosts to our team of scientists as they prepare to revive this vital research project," continued Mans. "We hope that NJDEP will overturn its ban on oyster research so that we can expand this scientific work beyond Earle." While awaiting approval from NJ DEP to place the oysters at Earle, NY/NJ Baykeeper and its volunteers have been growing baby oysters in tanks in space provided by Moby's restaurant in Highlands. The babies were recently counted and measured, and they were placed in tiered oyster nets placed sub-tidally below the pier at Earle. In spring the nets will be removed and the oysters inspected. The results will answer a simple question: can oysters survive a winter in the water at Naval Weapons Station Earle? The answer will guide future oyster research and restoration opportunities. Back here in New England, the oysters placed by the Mass Oyster Project are within direct line of site of a State Police Marine facility, so hopefully this would allay concerns of poaching within our regulatory authority. Also Boston Harbor is closed to shell fishing with the exception of steamer clams in certain areas under strict regulation, so this further reduces the likelihood of pilferage. MOP hat spotted in Oslo Norway! Anupendra Sharma sent us this photo of him with his MOP hat in front of the Opera House in Norway. "The Opera House is one of the most famous buildings in Scandinavia. 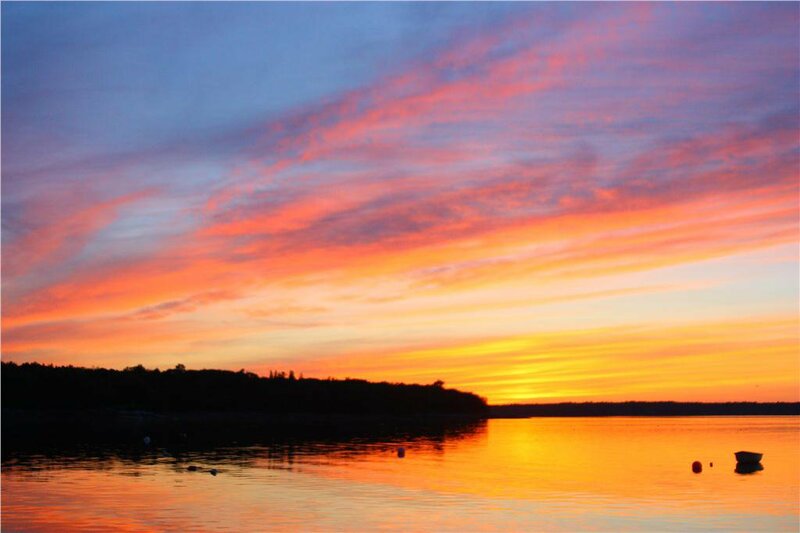 It is in a beautiful location on the water's edge where fresh (cool) breezes often blow."